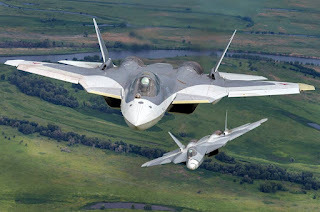 The decks are clear for the ministry of defence (MoD) to sanction the long-delayed Indo-Russian project to jointly develop a cutting-edge “Fifth Generation Fighter Aircraft” (FGFA). Business Standard learns that an Experts Group, headed by Air Marshal (Retired) S Varthaman, has submitted a report on July 7, finding that the FGFA project would be beneficial to India. After MoD bureaucrats objected to the FGFA project on the grounds that it might duplicate, or hinder, the indigenous Advanced Medium Combat Aircraft (AMCA), former defence minister Manohar Parrikar set up the five-person Experts Committee to consider this question. After deliberating for six months, the Expert Committee has ruled there are no conflict lines between the FGFA and AMCA. In fact, the technological expertise that Indian engineers and designers would gain from working with Russian experts would feed positively into the AMCA project. Meanwhile, the Defence R&D Organisation, through its subordinate Aeronautical Development Agency, can continue designing the entirely indigenous AMCA – based on its experience in developing the Tejas light fighter. New Delhi and Moscow signed an Inter-Governmental Agreement (IGA) a decade ago, in October 2007 for Hindustan Aeronautics Ltd (HAL) to partner Russia’s Sukhoi Design Bureau in developing and manufacturing the FGFA. Between 2010-13, HAL and Sukhoi spent $295 million each on a “Preliminary Design” phase. Reliable sources tell Business Standard that India and Russia have negotiated a draft R&D Contract, which commits both sides to spending $6.1 billion on the project –$3.05 billion each. While India has dragged its heels for a decade since signing the IGA, Sukhoi Design Bureau has already designed the basic flying platform, named Perspektivny Aviatsionny Kompleks Frontovoy Aviatsii, or “Prospective Airborne Complex of Frontline Aviation” (PAK-FA). At least six PAK-FA prototypes are already participating in flight-testing and flying displays, such as at the recent Paris Air Show. The draft R&D Contract commits Sukhoi to build the eighth, ninth and tenth prototypes for flight-testing in HAL, by Indian Air Force (IAF) pilots. That means that, if the R&D Contract is signed this year, IAF pilots could be testing FGFA prototypes in Indian skies by 2020. HAL chief, T Suvarna Raju, declined to comment on the Experts Group report, but told Business Standard that an early conclusion of the R&D Contract would allow HAL to play an important role in developing the PAK-FA flying platform into a combat effective FGFA for the IAF. “If we join now, we will still get a significant part of the work share, thanks to delays in the PAK-FA project. HAL would co-design the avionics, including navigation systems, radars and weapon aiming devices. This is the heart of the fighter’s combat ability”, says Raju. Delays in the PAK-FA’s development are attributable partly to hitches in designing a new, powerful engine that would let the fighter “super-cruise”, or travel at supersonic speeds on “dry thrust”, without engaging its fuel-guzzling afterburners. While engine-maker NPO Saturn has struggled to perfect a secretive new engine, dubbed the Izdeliye 30, the PAK-FA has been flying with the relatively underpowered AL-41FI engine – an uprated version of the Sukhoi-30MKI’s AL-31 engine. However, at the Paris Air Show in July, Russian designers have claimed that the PAK-FA’s new engine would be ready to fly by December. For the IAF, the FGFA project opens up the assured development of heavy fighters that will succeed the Sukhoi-30MKI, many of which have already completed 15-17 years in operational service. In the medium fighter category, the IAF would have two Rafale squadrons, possibly three if a follow up contract is signed for an extra squadron; and also three upgraded Mirage-2000 squadrons. In the light fighter category, there will be four squadrons of Tejas Mark 1A, and another light fighter for which procurement has been initiated. Amongst the contenders are the Swedish Saab Gripen E, and Lockheed Martin’s F-16 Block 70. The FGFA is equally crucial for HAL’s Nashik plant, which is now building the last 35 Sukhoi-30MKI fighters of the 272 fighters contracted by the IAF. At a build rate of 12 fighters per year, the Sukhoi-30MKI production line will be idle by 2020. It remains unclear how many FGFA units the IAF will eventually buy, but for HAL Nashik, a production order is essential. Not for the first time, an anonymous letter to the ministry of defence (MoD) threatens to delay, if not derail, a vital defence programme: in this case, the Rs 20,000 crore project to develop and build 83 Tejas Mark 1A light combat aircraft, which the MoD sanctioned in November. 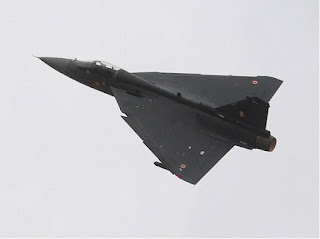 On Tuesday, MoD officials, led by Additional Secretary Surina Rajan, met to discuss an unsigned petition the MoD had received against the decision to import a radar for the Tejas Mark 1A fighter. This alleged that national resources were being frittered away in importing an airborne active electronically scanned array (AESA) radar, even though the Defence R&D Organisation (DRDO) had developed indigenous AESA radar. The anonymous complaint follows a DRDO letter, dated January 5, informing the MoD that it was “working on development of AESA radar” that fully complied with the Tejas Mark 1A requirements. The DRDO requested that it also be given the tender that HAL had issued to global manufacturers of AESA radars. The letter, which Business Standard has reviewed, makes it clear that the DRDO AESA radar is still far from ready. It notes that two Tejas prototypes are being allotted for “installation and flight evaluation” of its AESA radar. This essential testing process is typically an extended one. The MoD’s cognizance of the anonymous complaint is already delaying the fast-track development of the Tejas Mark 1A by Hindustan Aeronautics Ltd (HAL); and, thereby, the entry of four Tejas Mark 1A squadrons into the Indian Air Force (IAF) fleet. As Business Standard first reported (August 13, 2015 “With Tejas Mark II years away, HAL asks air force to buy Tejas Mark 1A”), the Tejas Mark 1A was conceived as an upgraded Tejas Mark 1, with four specific improvements to meet the IAF’s requirements as an operationally capable fighter. Four key stakeholders – MoD, IAF, HAL and DRDO – agreed together that HAL would enjoy a free hand, including resorting to global purchases, in expeditiously making those four improvements to the Tejas Mark 1. After demonstrating the upgraded fighter to the IAF’s satisfaction by 2018-19, HAL would quickly build 83 fighters (four squadrons) of Tejas Mark 1A. Of the four upgrades, the most operationally crucial involved equipping the Tejas with AESA radar, in place of the Tejas’ mechanically scanned Israeli Elta EL/M 2032 radar; and a “self-protection jammer” (SPJ) carried in an external pod under the Tejas’ wing. Two other upgrades – improving the “maintainability” of the fighter, and fitting it with external refuelling capability are already well in hand. AESA radar enjoys battle-winning advantages over traditional “manually steered” radar. In the latter, the antenna moves manually to let its radar beam scan the sky for enemy targets. In AESA radar, the beam moves electronically, switching rapidly between many different objects, in effect scanning multiple targets simultaneously. Thus, the “multi-tasking” AESA radar can simultaneously track different enemy aircraft, guide missiles to those, and even radiate electro-magnetic pulses to jam enemy radios and radars. The IAF has concluded that AESA radar would add enormously to the Tejas’ combat capability. With the DRDO still struggling to miniaturise the AESA enough to fit it in the Tejas fighter’s nose cone, HAL issued a global tender for AESA radars to vendors that included Raytheon (USA), Thales (France), Saab (Sweden) and Israel Aerospace Industries. HAL is currently evaluating the bids that were submitted. “We must place our order within a couple of months. If we start exploring the DRDO route, we can never meet the deadline of 2018-19”, says a senior HAL executive, speaking off the record. For now, however, it remains unclear whether the MoD will ignore the anonymous letter, or whether yet another lengthy investigation will ensue. Disruption of the Tejas Mark 1A time line would also result in the HAL production facility lying unemployed after 2019, when the current order of 20 Tejas Mark 1 fighters would have been delivered. HAL, which will produce eight Tejas fighters this year, is also implementing a Rs 1,231 crore project to upgrade its production line capacity to 16 Tejas fighters per year. At that production rate, it would complete delivery of 83 Tejas Mark 1A fighters by 2023-24. Even as Indian troops remain locked into a month-long confrontation with Chinese border guards on the Sikkim border, violence is rising in Jammu & Kashmir (J&K) – both on the border with Pakistan’s army and in jihadi insurgency in the Valley. Figures tabled in parliament on Friday reveal that as many ceasefire violations have taken place on the Line of Control (LoC) this year, as in all of 2016. Up to July 11, fire was exchanged 228 times across the LoC – more than one violation daily on average, although the 2003 ceasefire remains notionally in place. With the LoC showing no signs of cooling off, ceasefire violations are set to more than double from the 153 infringements in 2014, and a similar number in 2015. The good news is that ceasefire violations have dramatically reduced this year along the international border in the Jammu, Samba and Kathua districts, which is manned on the Indian side by the Border Security Force (BSF) and on the Pakistani side by the paramilitary Rangers. Indicating an improvement in the Indian army’s operational procedures, casualties on the border have reduced this year, despite far more firing. Compared to eight soldiers killed and 74 wounded last year, 2017 has so far witnessed four dead and 21 injured. Civilian casualties in cross-border firing have also reduced steadily. Despite a sharply uptick this year in militant attacks (which the army terms “terrorist initiated incidents”) significantly fewer soldiers have died. Last year, 31 soldiers were killed in nine militant attacks, including the operational setbacks at Pathankote Air Base in January (seven soldiers killed); and in Uri in September (19 soldiers killed). In contrast this year, nine soldiers have died in in 14 militant attacks. Along with militancy, jihadi infiltration across the LoC has risen sharply this year. In each of the last three years, 30-40 militants were killed in 18-27 infiltration attempts. This year, 36 militants have already been gunned down in 16 infiltration bids. Sources in Rawalpindi (Pakistan Army headquarters) also deny responsibility for ceasefire violations. A serving Pakistani general, speaking anonymously, highlights two reasons for wanting to keep the LoC quiet. First, Pakistan wants global attention focused on the civilian unrest in the Valley, not on ceasefire violations that allow India to “change the narrative” to one of Pakistani aggression. 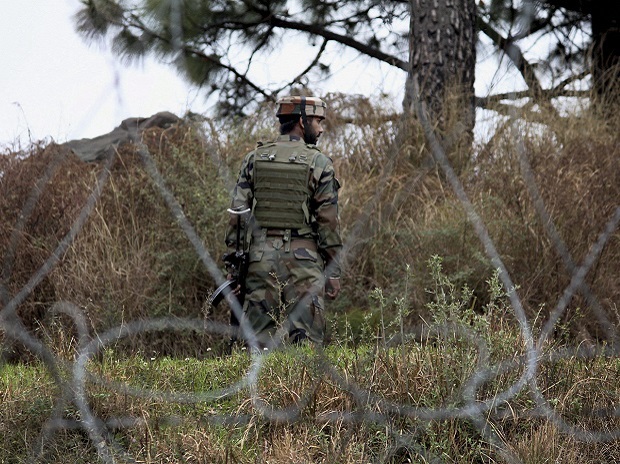 Second, many Indian army posts occupy comparatively dominating terrain on the LoC, allowing them to observe into nearby Pakistani posts and fire effectively into them. Cease-fire violations, according to this logic, imposes a heavier cost on Pakistan than on India. “We naturally respond to unprovoked firing from the Indian side and make them pay a price. But that is only when India starts it”, says the Pakistani general. Nothwithstanding claims of innocence, both Indian and Pakistani armies have officially claimed to have attacked and destroyed each others’ military posts. On May 23, three weeks after the bodies of two Indian soldiers were mutilated on the LoC, the Indian Army released (without comment) a video of a military post being destroyed by heavy firing. It is not possible to verify the date or geographical locations of such video clips. Senior military officials in New Delhi believe Beijing badly overplayed its hand by heating up the rhetoric over the presence of Indian soldiers in the disputed Doklam bowl, adjoining Sikkim. They say in the stalemate that has emerged, India will have achieved its aims. The planners say that Indian forces have held the upper hand ever since they surprised Chinese troops by confronting them on behalf of Bhutan, and sticking to their position despite unprecedented aggression and threats from Beijing. “However this plays out, China is going to lose face, since it has made its threats publicly. And India is going to come out looking like a credible and reliable partner for Bhutan”, says a general, speaking on condition of anonymity. Asked about the possibility of China’s People’s Liberation Army (PLA) launching military operations against India, as Beijing has hinted, Indian generals are sanguine. “There is no military mobilisation by China, nor will the Indian military mobilise unless war becomes imminent. If it comes to fighting, we are prepared to shed blood to uphold the India-Bhutan cooperation agreement. That would only raise our credibility in Thimphu’s eyes”, says a senior military planner. “But that will not happen. The Chinese know they can achieve no military goal. They are smart enough to realise they have miscalculated badly”, he adds. On Wednesday, Foreign Secretary S Jaishankar admitted to a parliamentary panel that diplomatic negotiations are underway, both in Beijing and New Delhi, to resolve the month-old crisis. 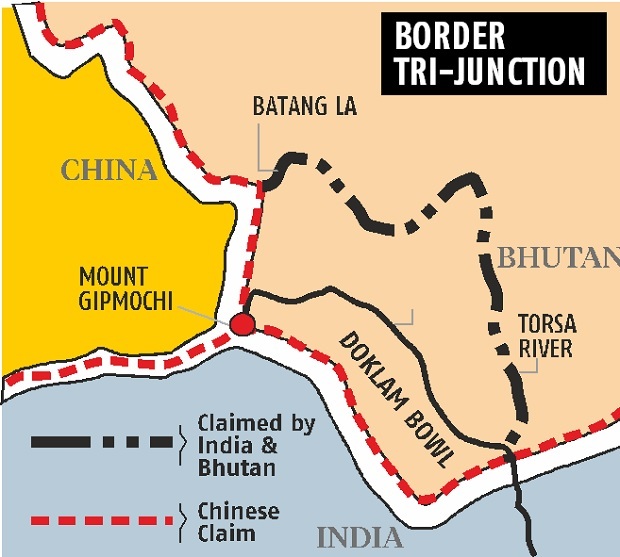 On June 16, after Chinese road construction crews entered Doklam – an 89 square kilometre patch claimed by both Bhutan and China – Indian troops also crossed into Doklam and physically blocked Chinese road construction activity. Since then, hundreds of Indian and Chinese soldiers built up there, deployed eyeball-to-eyeball, initially igniting apprehensions of a shooting war. Over the past week, however, as diplomatic discussions on de-escalation have moved along, Beijing’s foreign ministry spokespersons and government-controlled media have noticeably toned down the aggressive rhetoric they had earlier adopted. China’s media too is noticeably softening its stance from early June, when mouthpieces like the Global Times and Xinhua threatened India with a repeat of the 1962 military defeat. Over the weekend, China Central Television (CCTV) broadcast high-altitude, live fire exercises by a PLA brigade, without mentioning that the drills took place before the Doklam incident began. This week, articles on the Doklam faceoff have been fewer in number. 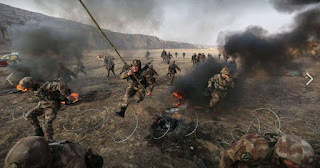 On Tuesday, after Pakistan’s “Dunya News” – a 24-hour, Urdu language television news channel –concocted news that a Chinese rocket attack in Sikkim had killed more than 150 Indian soldiers, Chinese media dismissed the report as “baseless”. In India, even as the media keeps the spotlight on Doklam, the government is keeping a level tone. On Wednesday, Foreign Secretary S Jaishankar reportedly told a parliamentary panel that hypernationalism and the media spotlight had inflated the crisis out of proportion. Doklam faceoff: Motives, stakes and what lies ahead? What motives underlie the month-long standoff between Indian Army troops and Chinese border guards in the Doklam bowl, on the Sino-Indian border in Sikkim? What is at stake there for India and China? How could this play out, and is there a real threat of war? The confrontation began in mid-June, when the Chinese entered the Doklam bowl, a picturesque, 89 square kilometre series of meadows near the Nathu La border crossing between Sikkim and Tibet’s Chumbi Valley. Doklam is claimed by both China and Bhutan; while China, India and Bhutan do not agree where their borders meet. 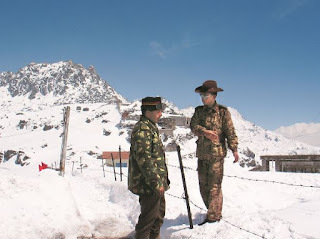 The Chinese and Bhutanese armies send occasional patrols to Doklam in summer, while graziers from both sides herd their yaks here – traditional ways of staking claim to Himalayan territory – but the patrols and graziers are only temporary visitors. Last month, however, Chinese road construction crews, escorted by border guards, disturbed this delicate status quo by attempting to consolidate permanent “facts on the ground”. Barging into Doklam, they began extending a mud-surface road they had partly built more than a decade ago. 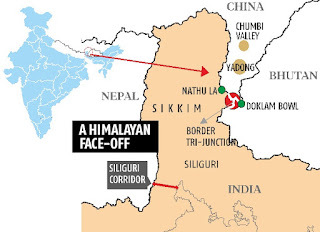 This rough track would connect Doklam to Highway S-204, a blacktop Chinese road in the Chumbi Valley, theoretically allowing Chinese troops to drive directly from the Tibetan city of Shigatse, through Yadong, across the border into Doklam, and then south to China’s claimed border line at Gyemochen (which the Chinese call Mount Gipmochi). A Chinese road in this disputed territory would add weight to Beijing’s claim over it. Since India does not claim the Doklam bowl, China’s entry placed the ball squarely in Bhutan’s court. But Thimphu had not objected forcefully when China had encroached into the Doklam bowl in 2003-07, and it was – understandably, given Bhutan’s power differential with China – reluctant to intervene now. Consequently, Indian troops in the vicinity, acting in accordance with New Delhi’s foreign policy coordination treaty with Thimphu, crossed on June 16 into Bhutanese-claimed territory and physically blocked the movement of Chinese border guards. India also positioned two bulldozers in the Doklam bowl to undo any road construction by the Chinese. Since then, several hundred Indian soldiers and as many Chinese border guards (since their army does not guard the border) have come face to face in Doklam in a testy stalemate. Threat to the Siliguri corridor? Indian commentators have claimed that New Delhi’s unusual resoluteness in this confrontation stems from a threat to the Siliguri corridor – a 23 kilometre-wide funnel of Indian territory that squeezes between Nepal and Bangladesh, giving India access to its seven north-eastern states. Siliguri is just 80 kilometres from the current border. It is argued that allowing China to shift the border to Mount Gipmochi would bring the threat even closer. In fact, this danger is dramatically overblown. A Chinese advance to Siliguri would require the mobilisation of large numbers of People’s Liberation Army (PLA) troops from around Lhasa, and Mainland China. Dennis Blasko, a leading expert on the Chinese military, says the PLA’s on-going reorganisation aims to increase the “new-type combat forces”, which are capable of being used anywhere in China or its borders, but there are not enough of these forces in Tibet to break through India’s forward defences in Sikkim. 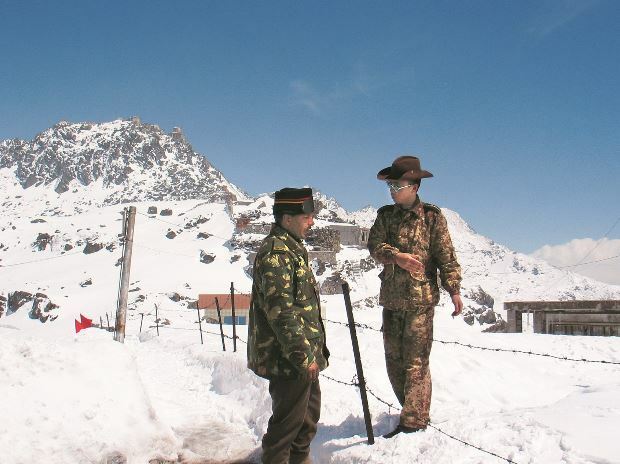 Bringing in sufficient numbers and acclimatising them to Tibet’s high altitudes would take the PLA weeks, losing strategic surprise and allowing India to comfortably reinforce its defences in Sikkim. If moving appropriate troops into the Chumbi Valley is a logistical challenge, shielding them from Indian artillery, air and ground attacks in that bottleneck would be even more difficult. Thereafter, the PLA would have to break through formidable Indian defences, attacking mainly uphill, and then advance southward to Siliguri across thickly forested hills, harried all the way by numerically superior Indian forces. Such an advance, carried out cross-country, would inevitably leave behind artillery and logistic support, rendering Chinese infantry spearheads sitting ducks for Indian forces. If, miraculously, the Chinese still reach Siliguri, they would be decimated in massed attacks from Indian reserves that could be built up steadily. “Sikkim is where India attacks China, not the other way around”, say typically blunt planners in New Delhi. 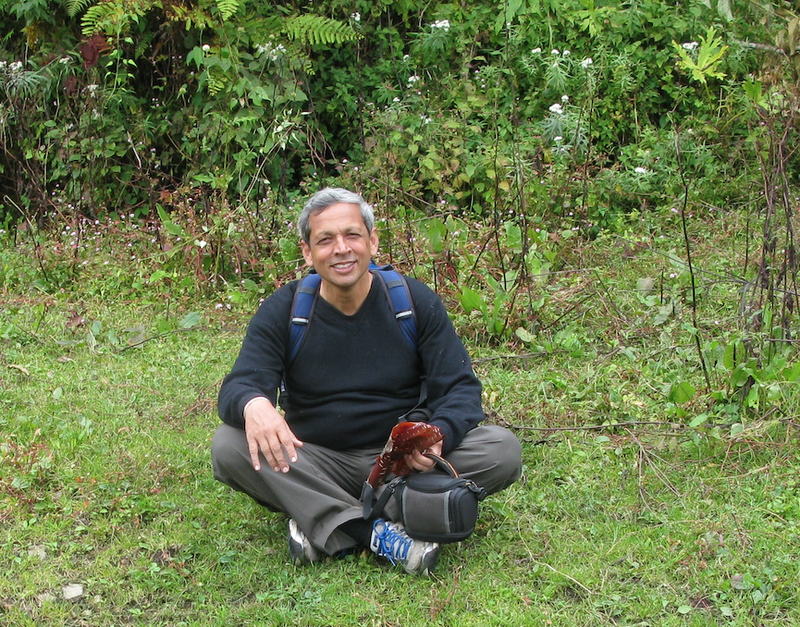 Lieutenant General SL Narasimhan (Retired), who has commanded a brigade and a division in Sikkim and now serves on India’s National Security Advisory Board has written that concerns about Siliguri are overblown. 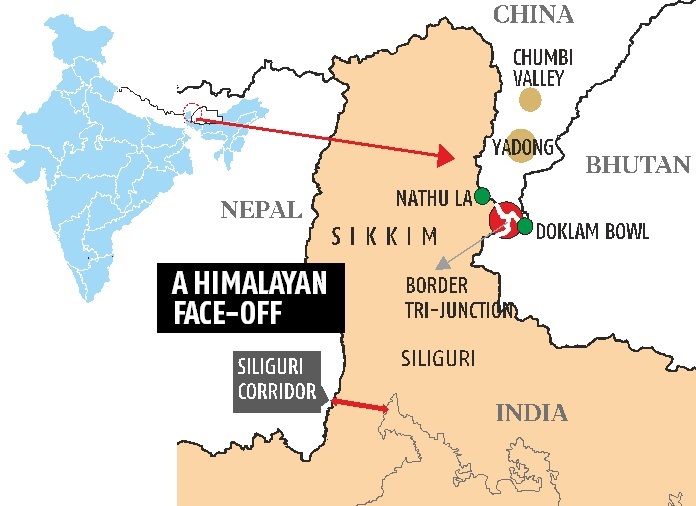 With Siliguri not a major concern, New Delhi’s purposefulness at Doklam stems, more likely, from the belief that Beijing is testing India’s commitment to Bhutan. China has always been galled by this close relationship, which has withstood sustained Chinese pressure to divide it. At Doklam, military pressure and Beijing’s unprecedented rhetoric have been reinforced by diatribes from Chinese and China-friendly media, alleging India’s colonial exploitation of Bhutan. Maxwell makes the outrageous assertion that New Delhi keeps Thimphu in line by permanently stationing an army brigade group (3,500-5,000 troops) in Bhutan. Numerous Indian and international commentators too have incorrectly cited similar numbers. In fact, India’s military presence in Bhutan is restricted to 800 trainers for the Royal Bhutan Army, and about 100 soldiers with the Border Roads Organisation, which builds and maintains several Bhutanese roads, using civilian hired labour. New Delhi understands that backing off would amount to throwing Bhutan under the Chinese bus, allowing Beijing to dictate a border settlement with Thimphu. On the other hand, Beijing understands that allowing India to intervene militarily on behalf of Bhutan would send an undesirable message to other regional states that China seeks to keep divided and mindful of its status as the next global superpower. How much of a flashpoint? The Doklam confrontation does not yet appear a flashpoint that could trigger open hostilities. No shots have been exchanged, in contrast to the 1967 gun battles at Nathu La and Cho La, just kilometres from Doklam, in which 88 Indian soldiers were killed and 163 wounded; and an estimated 340 Chinese soldiers died and 450 were wounded. Nor is this the longest or most tense face-off ever. That dubious distinction goes to the 1986-87 crisis on the Sumdorong Chu (rivulet) near Tawang, after China occupied the disputed Wangdung grazing ground and the Indian Army responded with a months-long build-up of tens of thousands of troops along the McMahon Line. Beijing quickly understood that New Delhi had abandoned its post-1962 defensive mind set and the crisis was resolved, leading on to the Peace and Tranquillity Agreement of 1993 and the Confidence Building Measures of 1996 that have kept the peace on the border ever since. But this equilibrium has now been disturbed, and both sides have played roles in it. American sinologist, John Garver, writing in the South China Morning Post, says a rising and assertive China, looking to be the paramount power in Asia, wants to serve up a public lesson to India – which it sees as the weakest link in a chain of states, including the US, Japan and Australia, that are trying to contain China. Supporting this rationale for Beijing’s shrill aggression over Doklam, other commentators have pointed to China’s opposition to India’s membership of the Nuclear Suppliers Group, its blocking of a UN resolution to declare Pakistan-based Azhar Masood a global terrorist, New Delhi’s unapologetic backing of the Dalai Lama, including a government sponsored visit to Tawang, and the Indian government’s forthright rejection of China’s flagship Belt and Road Initiative. In the Indian Ocean too New Delhi is lining up more visibly against China, with its navy cooperating and training regularly with the American and Japanese navies in exercises like the recently concluded “Exercise Malabar”. While deteriorating Sino-Indian relations are a reality, there is insufficient recognition of the fact that border incidents are increasingly triggered by India’s increasing military strength and an increasingly assertive posture on the border. Over the last decade, India has strengthened its defences in Arunachal Pradesh by adding two divisions (35,000 – 40,000 troops), and is raising a mountain strike corps (60,000 troops) that can operate in Ladakh, Sikkim or Arunachal Pradesh. Besides these, India has moved more than two brigades (7,000 – 10,000 troops) from Kashmir to Ladakh and strengthened defences further with the induction of tank and armoured infantry units. The little-known upshot is that India’s military posture has become significantly stronger than China’s on the 3,500-kilometre Line of Actual Control (LAC). A similar confrontation took place in Chumar, in Ladakh, in 2014. Now, in Doklam, Chinese anger stems from being blocked in 2017, after facing no resistance between 2003-2007, when they tested the waters by building the existing track. Furthermore, a more active media in both countries is bringing confrontations to public attention, forcing both governments into harder-line stances and depicting as surrender the give-and-take that must necessarily accompany the resolution of each incident.